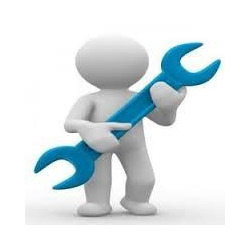 Service Provider of Annual Maintenance Contract Services. Our product range also comprises of Sewage Treatment Plants, Air Pollution Control Devices and Industrial Chemicals. Keeping the track of latest happening in this domain, we render our customers with Annual Maintenance Contract Services for STP and WTP. Periodic maintenance and repair with genuine spare parts, makes these annual maintenance contract highly demanded in the market. In accordance to the needs and requirements, the rendered annual maintenance contract can be customized. Looking for “Annual Maintenance Contract Services”?